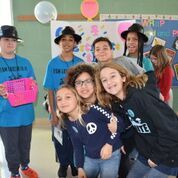 1: Lido students enjoyed the carnival run by Susan Garcia’s class. 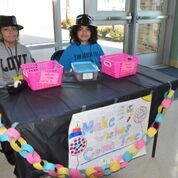 2: Genesis Medrano and Lucas Del Rio sold tickets for the games. 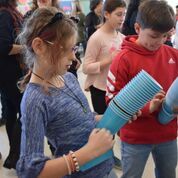 3: The cup stacking challenge was a popular attraction. 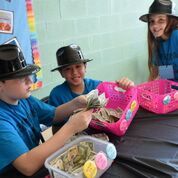 4: Yishy Jespersen, Russell Chang and Winter Collinson tally up the funds raised for Birthday Wishes. 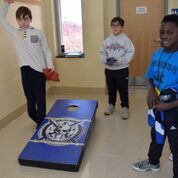 5: Students compete in friendly games. 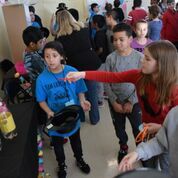 6: Lido students aim for ring toss success.